Spring has arrived in much of the U.S., and if the last few years are any indication, an increasing number of consumers will be packing their coolers with hard seltzers, choosing them as an alternative to wine, beer, and spirits for outdoor activities. The rise in popularity of hard seltzer has been fueled by the recent trend toward more health-conscious drinking habits and a preference for low-alcohol beverages, particularly among millennials. “Hard seltzers have positioned themselves at the nexus of convenience and health,” says Caitlyn Battaglia, a client manager based in Roanoke, Virginia, who works in the Beverage Alcohol Practice Area of The Nielsen Company. These carbonated water–based ready-to-drink [RTD] cocktails, which are made either from malted barley or fermented sugar, typically clock in at 100 calories or less per serving, compared with heavier beers, wines, or cocktails that have from 100 to 400 calories per serving. They’re low in alcohol as well, ranging from 4.5% to 6% ABV. They’re also gluten free. And besides offering the convenience of a shatterproof portable can, Battaglia says that “hard seltzer appeals more equally to men and women” than beer, which she notes tends to be “a male-dominated category.” Pricing varies, but hard seltzers are usually cheaper than craft beer and definitely less expensive than a midrange bottle of wine or spirits. A 12-pack of White Claw sells for around $15.99, while the Bon & Viv’s Spiked Seltzer 12-pack sells for approximately $14.50. Hard seltzer’s widespread popularity, appeal, and potential have not gone unnoticed by beverage alcohol brands. 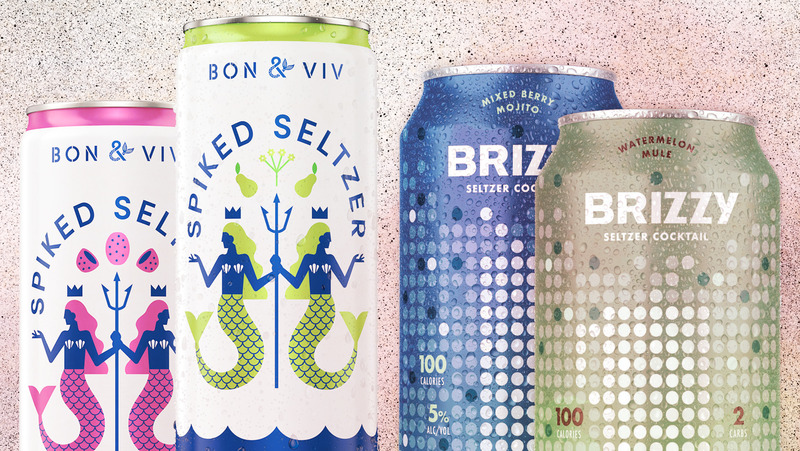 It hit the market in 2013 with Bon & Viv Spiked Seltzer, and the category has been taking ever-increasing portions of market share ever since. Many see an opportunity to take the trend into a slightly more sophisticated, artisanal direction. Sales of hard seltzer have now exceeded $585 million for the 52 week-period that ended on March 23, 2019, according to Nielsen. This represents approximately 1.4 percent of the total beer/flavored malt beverage/cider market. In dollar sales, the category grew 185 percent, compared to a year ago, while unit sales grew 196 percent. While seltzer continues to grow its market share aggressively across Nielsen’s measured off-premise outlets, other segments of the market are flattening. During the 52-week period that ended on February 23, 2019, beer/flavored malt beverage/cider sales grew 0.9 percent, according to Nielsen, while wine sales expanded 2.4 percent and spirits sales increased 3.8 percent in the same period. Looking at the data alone, it seems that hard seltzer will continue its upward trajectory as beer, spirits, and wine sales essentially flatline. “Hard seltzer is here to stay,” says McMillan. The key is that it resolves the problem of sweetness, and the accompanying higher calories, that have plagued the flavored malt beverage category over the years, he says, adding that we can count on major players in the industry to join in. Everyone who hasn’t already, that is. Anheuser-Busch acquired Bon & Viv Spiked Seltzer in 2016, Boston Beer Company has Truly Spiked & Sparkling, Constellation Brands has Svedka Spiked Premium Seltzer, Diageo has Smirnoff Spiked Sparkling Seltzer, Mark Anthony Group has White Claw, Oskar Blues has Wild Basin, and MillerCoors has Henry’s Hard Sparkling. And while they all have a different hook, they’re basically the same concept in slightly different packaging, hovering around 5% to 6% ABV with 100 calories or less. Left: Marian Leitner-Waldman. Photo courtesy of Archer Roose. Right: Rob McMillan. Photo courtesy of Rob McMillan. There are some signs, however, that hard seltzer may soon be seeing competition from another developing category—low-ABV, sparkling-wine spritzes. 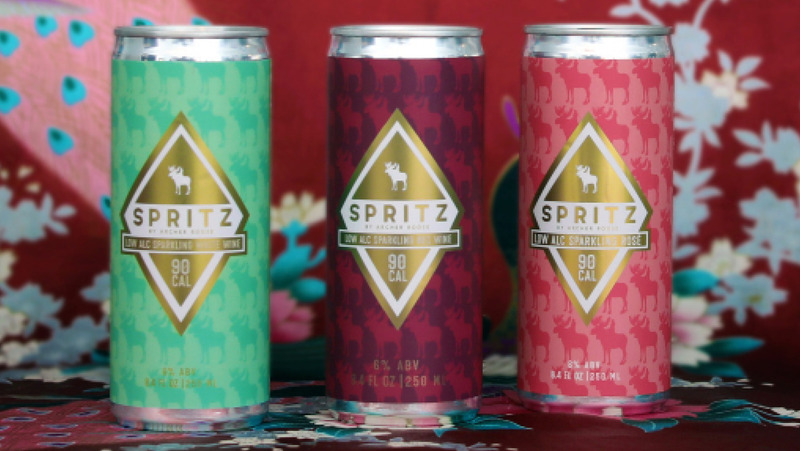 While hard seltzer has snagged market share from beer, wine, and spirits, Battaglia notes that it has had the most significant impact on the sparkling-wine category. Nielsen’s research shows that sparkling-wine consumers spent an average of $43 of their wine budget per household on hard seltzer last year, followed by spirits consumers at $41, and beer/malt/cider consumers at $37. Photo courtesy of Archer Roose. During research for the product, Leitner-Waldman came across the centuries-old French day-drinking custom of adding a little seltzer to rosé to make it lighter, more refreshing, and less intoxicating. She experimented with her rosé winemaking team in Provence and came up with a recipe that uses their rosé base (Grenache, Syrah, and Vermentino). By adding a little extra Grenache, watering it down, and creating a secondary fermentation, the Rosé Spritz was born. It has 90 calories, 4 grams of sugar, and 6% ABV. 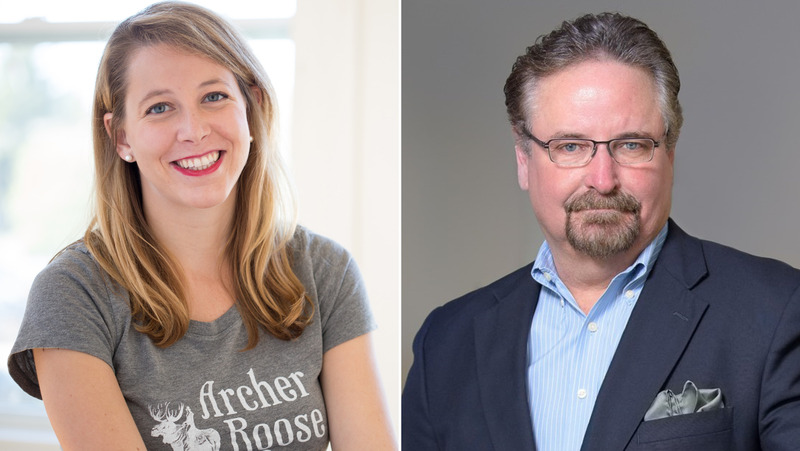 Archer Roose began rolling out the organic spritz in April, and the company plans to debut organic sparkling white and red spritzes this summer. The Rosé Spritz is currently available in stores in 24 states and online from Convive Wines, a retail shop based in New York City ($4 for a 250-milliliter can; $11 for a 4-pack). McMillan agrees that the market is trending in this direction. “The alcoholic beverage industry is going through a phase of taking any upward-trending, nonalcoholic consumer beverage like kombucha, green tea, [or] sparkling water, and adding alcohol to the base product,” he says, adding that anything that reinforces natural and organic trends in the marketplace and is priced reasonably will perform well in this space, which is one that has already exceeded analysts’ expectations and shows no signs of slowing down. Kathleen Willcox is a journalist who writes about food, wine, beer, and popular culture; her work has appeared in VinePair, Edible Capital District, Bust magazine, and Gastronomica, and on United Stations Radio Networks, among other venues. She recently coauthored, with Tessa Edick, “Hudson Valley Wine: A History of Taste & Terroir.” She lives in Saratoga Springs, New York.